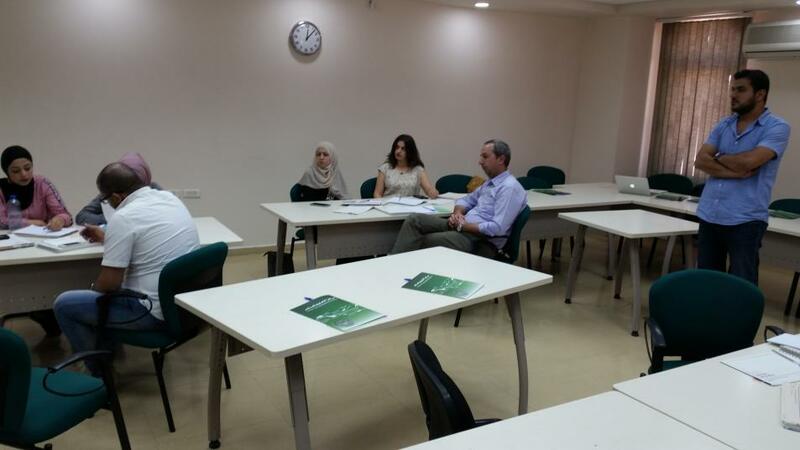 The B-Hub at Birzeit University, in cooperation with SwitchMed, started the second iteration of the Green Entrepreneurship Program, which targets entrepreneurs with green business ideas from all Palestinian localities, all ages, and any educational background. The program started with three sessions, the first which was held on August 4, 2018, in the Korean Center at Al-Najah University in Nablus. The second and third workshops took place on August 11, 2018, at the Palestine Polytechnic University, for students from southern Palestine, and at Birzeit University for participants from the central governorates. The Green Entrepreneurship Program allows participants to present and finalize their eco-friendly business ideas, develop a prototype, pilot the concept in the real market, and establish a marketing plan and a business model. The program also includes intensive in-class training sessions, coaching between sessions, after-training mentoring to the most-promising participants, six-month incubation of two participants at the B-Hub – with potential to provide office space and admin support if needed –, international networking, and an opportunity to compete for green grants of up to 15,000 euros. To register for the upcoming training workshops, which will be held in October 2018, please visit the link here. For further details about the training sessions, please check the brochure or visit the SwitchMed Programme website.